More from M: M, our virtual assistant, now makes suggestions in your conversations, offering up ways to make your life simpler. These include fun stickers to say “thank you,” a reminder to meet up with a friend, or an easy way to pay someone back or get paid via peer-to-peer payments. Powered by artificial intelligence, M recognizes when people are doing specific tasks and provides helpful suggestions. We think the next step is to offer people more ways to do more – so today M can now offer the ability to order food through delivery.com. If you’re chatting with friends about what to grab for dinner, M may suggest placing an order. 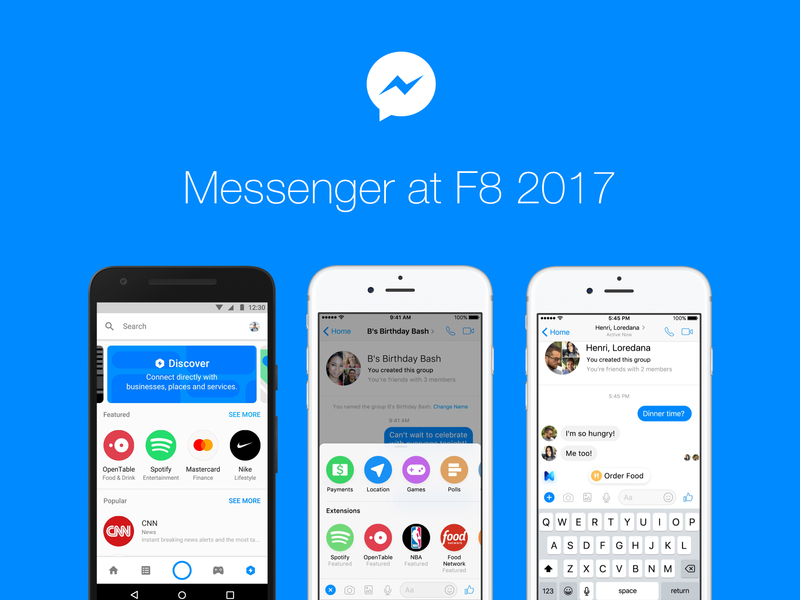 The whole experience can be completed in Messenger, including group ordering and payment. The more you use M, the more it will make relevant suggestions to you. This is available in the US where delivery.comserves.